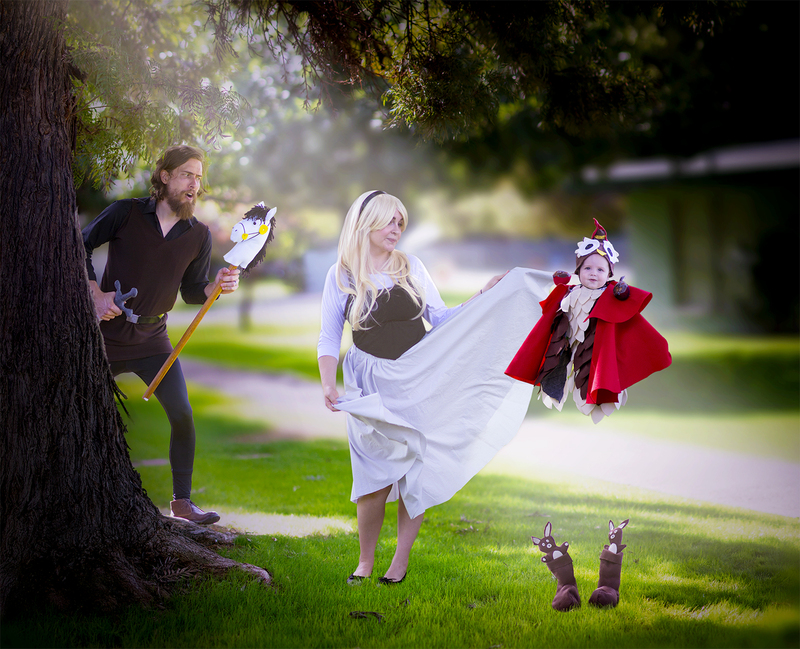 For baby man's first Halloween I went all out with our family costumes, making us all characters from Sleeping Beauty. I went as Aurora, Will as Prince Philip, and baby man as the owl wearing Prince Phillip's clothes from the dancing scene in the movie. When I say I went all out, I mean that I went all out and handmade almost every single piece of all three of our outfits! For a while there it felt like my eyes were way bigger than my abilities, but I lucked out as my mother-in-law was in town. She was able to hang out with baby man will I went into crafting craziness. All in all, I think I spent about five days or so getting all the fabric, designing everything, and putting it all together. On Halloween, we did a very quick trick or treating adventure with family. Baby man's naps had become a little screwed up that day, so we didn't want to push it. It was a great time, nevertheless, and Will and I cannot wait till next year to do it all over again! What did you all dress up as for Halloween? If you shared your pictures online leave the link below, I'd love to see all of them!